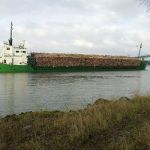 The 87 meter long cargo vessel Nossan ran aground in the River Göta near Stallbacka bridge in Trollhättan, Sweden. 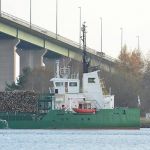 The Nossan was en route to Grums from Kalmar with a cargo of timber when the vessel suffered a power blackout. 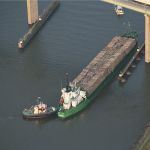 The Nossan drifted until it ran aground on concrete foundations in the channel. 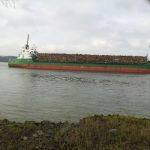 The crew was able to refloat the vessel a short time later and decided to proceed towards Stallbacka to examine the vessel for any damage. 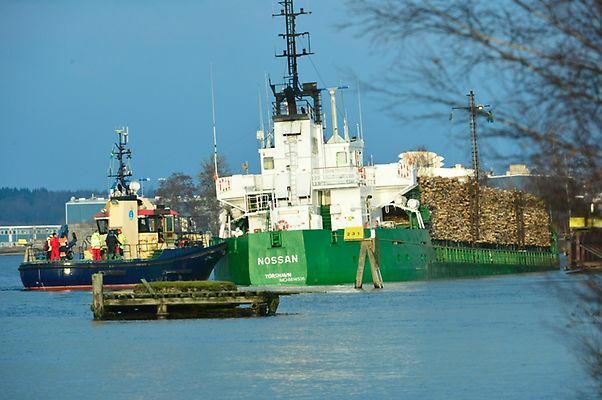 The Nossan proceeded a short distance when the crew was alerted to water ingress in the bow. The Nossan’s hull had been holed during the grounding and the bow section was flooding. 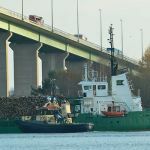 Authorities were alerted who dispatched vessels with pumping equipment and divers to the scene. The crew on the Nossan abandoned ship as fears the vessel could sink or capsize. However, these fears subsided a few hours later as the Nossan was stabilized. Authorities placed booms around the Nossan to contain any pollution that may be released. No reports of injuries. 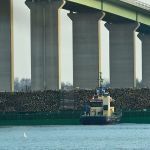 The 114 meter long container-barge Run Fa Chang Qing capsized while berthed at the Shengdong container terminal in Yangshan, China. 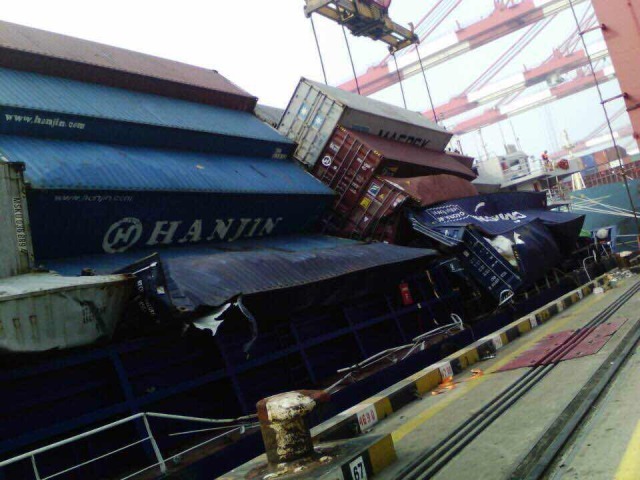 Some 36 containers fell overboard which resulted in shutting down operations at the terminal. Reports state the containers were later salvaged. Authorities have launched an investigation into the incident.